I pencil these at A4, using a 2H pencil (very rough and scribbley) then I ink them with a v5 tech point (over the rough pencils). 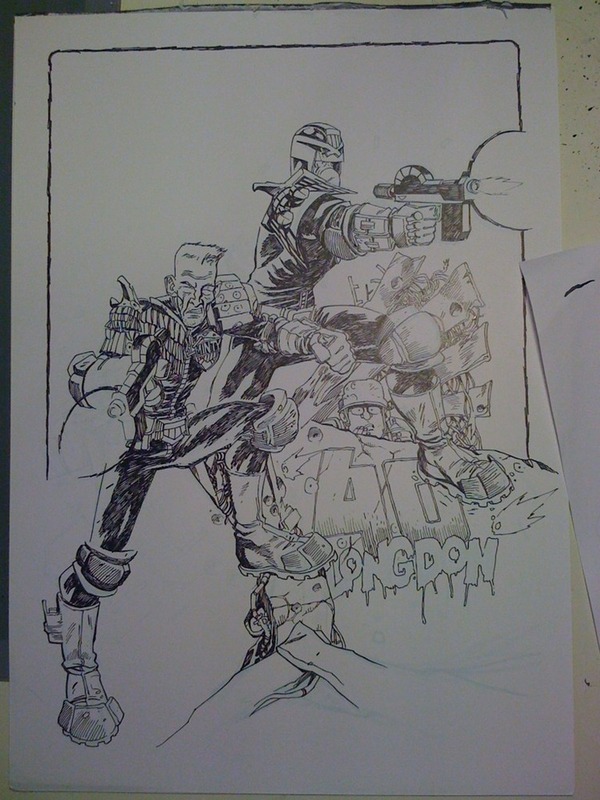 Then scan it in, and correct it and add a bit of shading to give it some weight. 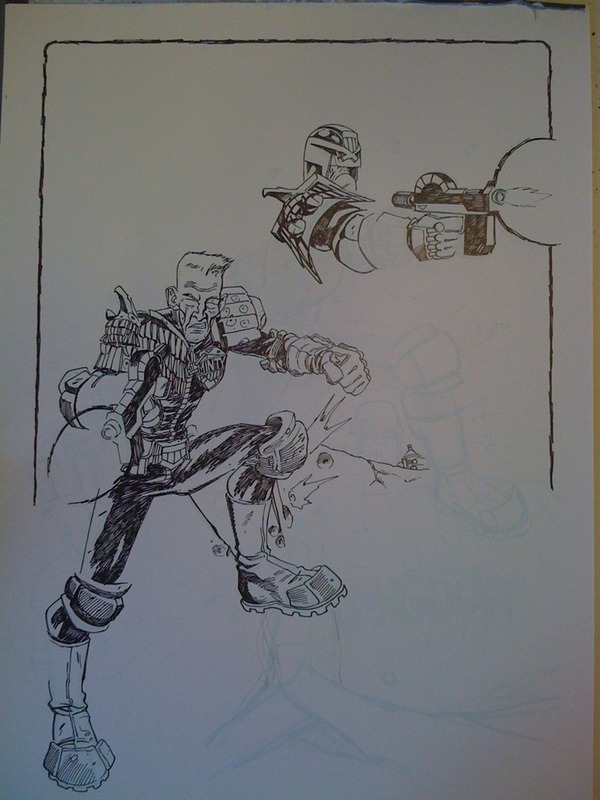 Image 1 is the pencil/ink rough stage. 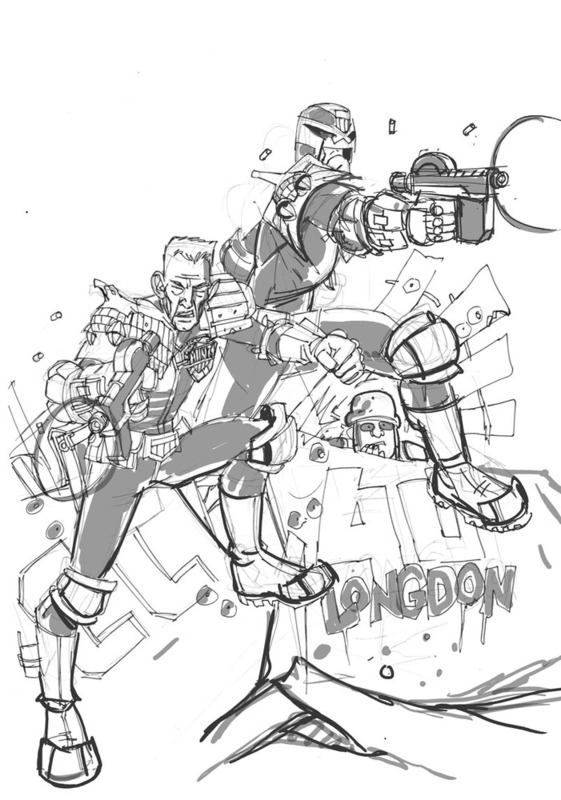 (I redrew Dredd’s arm in photoshop to point it slightly more to the viewer). I then enlarge that in photoshop to A3, convert the image to RGB and convert he line art to blue line (using IMAGE->Adjustments->Hue Saturation, setting it to ‘colourise’ and the HUE to 180, Saturation to 80 and Lightness to 60-90 depending on how light I want the bluelines). Once printed I ink that directly on the paper, using a nib pen and black indian ink. I might, also, at this stage, add a border to the page – here I added a very simple curved line border that I inked over to give an old fashioned feel. Inking took a couple of hours, pencils too about 20mins. 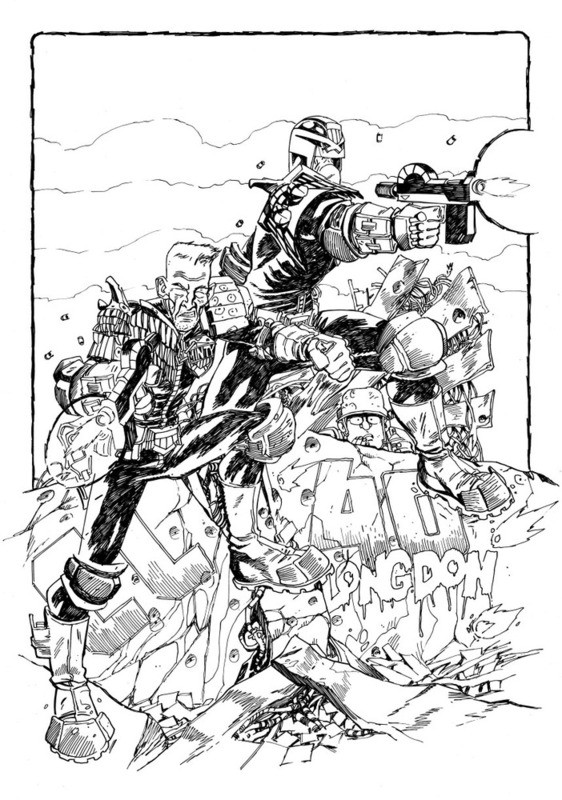 Turned out very quickly, partly because this technique stops you needing to rub anything out (although I did erase Dredd’s arm in photoshop and redrew it, but that was very quick) and partly because it’s scribbly and fun to draw Dredd standing on ruins.